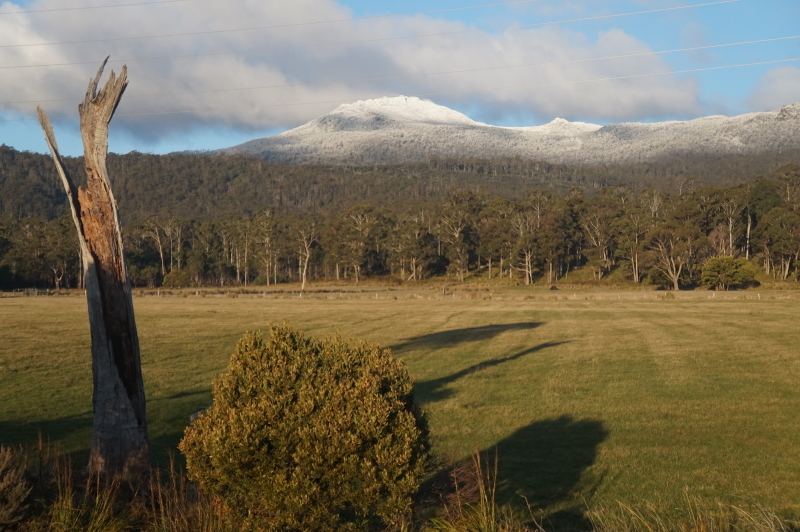 Winter in Tasmania | Hello Cool World! Sixty years ago, my parents traveled by boat from England to Tasmania. It took six weeks. It took us eleven and a half months on our travels, but we finally have arrived back where I was born. 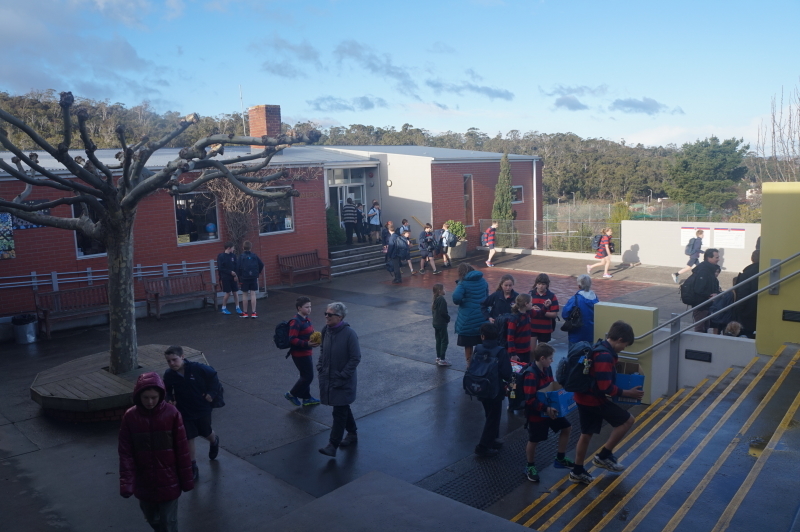 It’s been 49 years since I left Tasmania as an eight year old child, and in many ways the place hasn’t changed a bit. You still walk down the steps off the plane and cross the tarmac into a tiny airport. 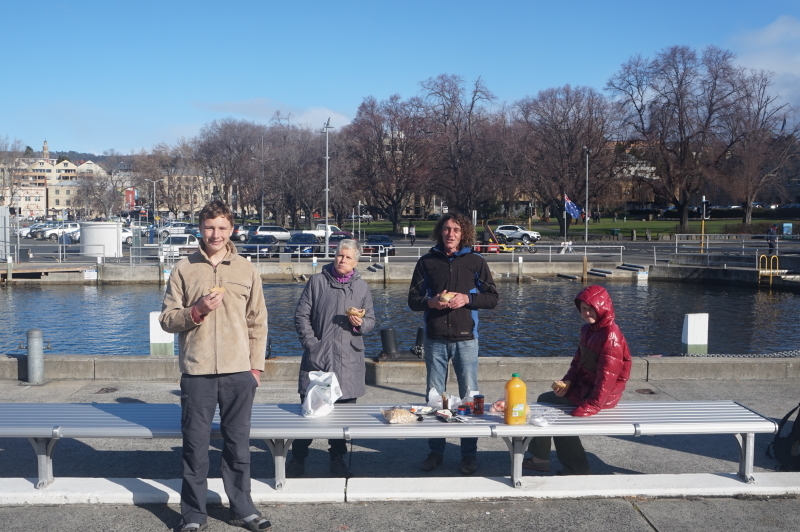 We had one week in Tasmania, and plans to drive a circuit from Launceston in the north to Hobart and back up again. 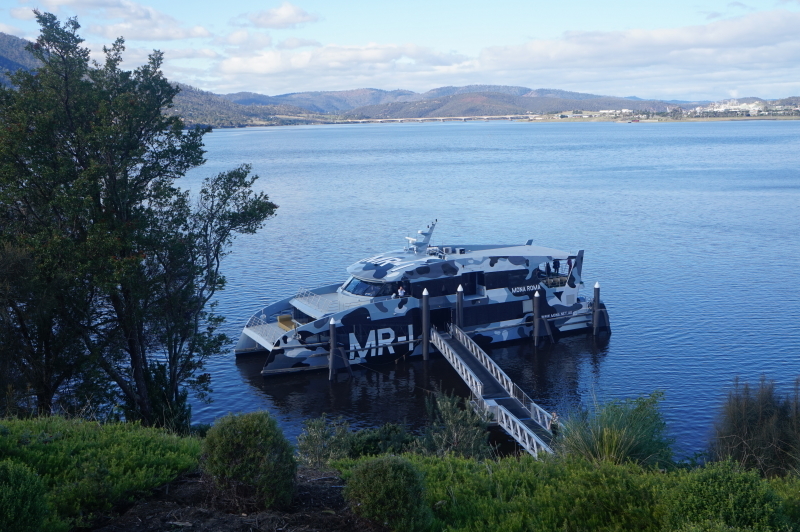 A week to explore roots and to see why Tasmania is becoming a tourist destination. 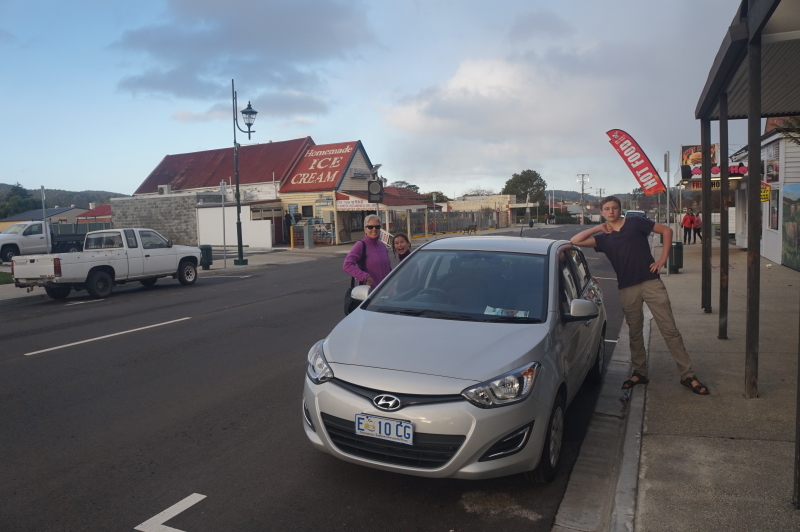 With a rental car for the week, we headed towards Ulverstone, two hours from the Launceston airport. 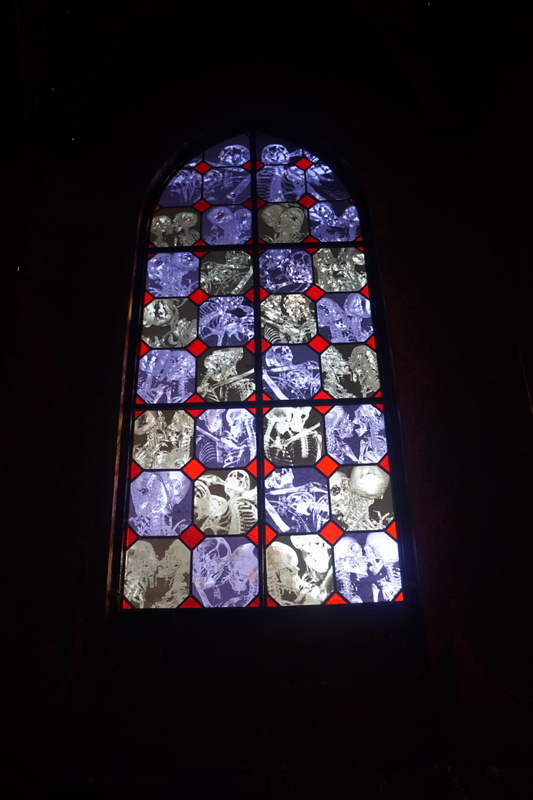 One the way, we consulted the guide on the tablet and found the Marakoopa glow worm caves and an exceptional Chinese restaurant in the tiny town of Sheffield that is listed in Where Chefs Eat. The week was off to a good start. Lunch at T’s Chinese. 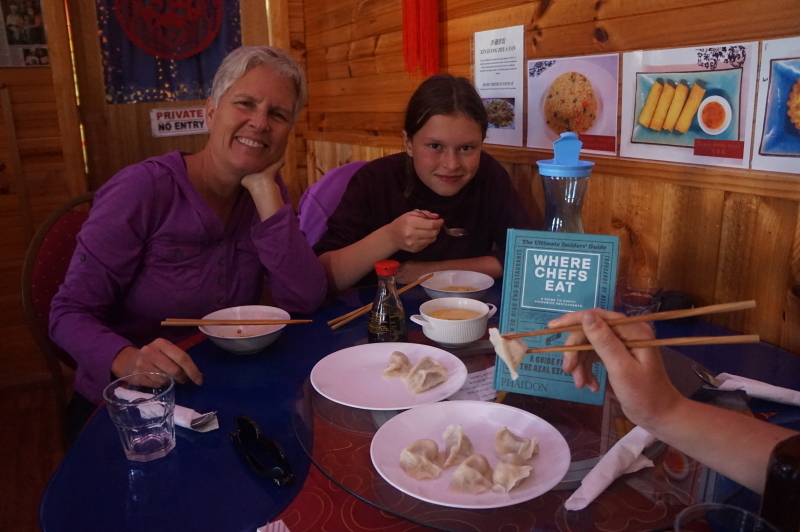 Amazing dumplings and the best chow mein we’ve ever had. With Chef Alex Zhao and his mother, Sonya, at T’s Chinese. The secret: they raise the organic beef, pork and lamb on their farm. The restaurant in the background: truly au milieu de nulle part. 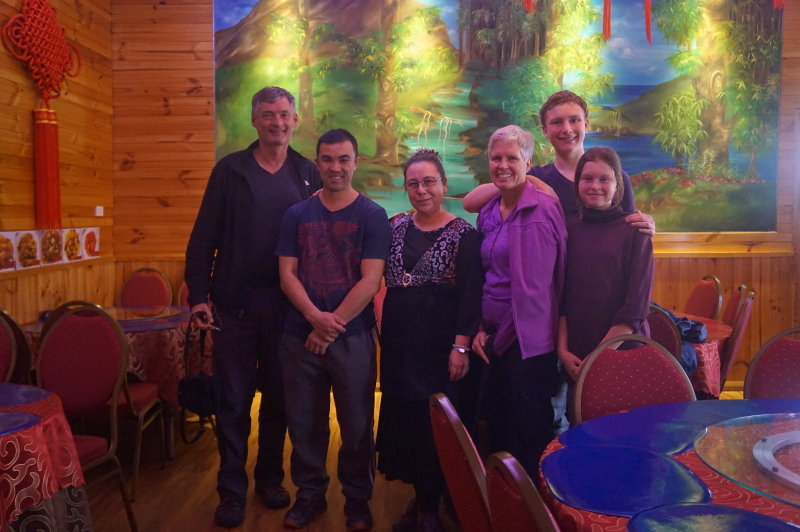 The next morning we had lunch with Peggy Stratton, a dear family friend. Nearly 60 years ago my parents landed in Ulverstone. They had been dumped unceremoniously at an empty house by the principal of the school where my dad was to teach, having been told stories about how they kill off Pommies around here and that the last one was divorced and packing within a year. Standing in an empty house, no furniture and no food, they were beginning to think they had made a terrible mistake. There was a knock at the door and there stood a woman holding a tray of tea and sandwiches who said, “Hello, I’m your new neighbor. I thought you might be hungry.” And that was the start of a friendship that has lasted time and distance. 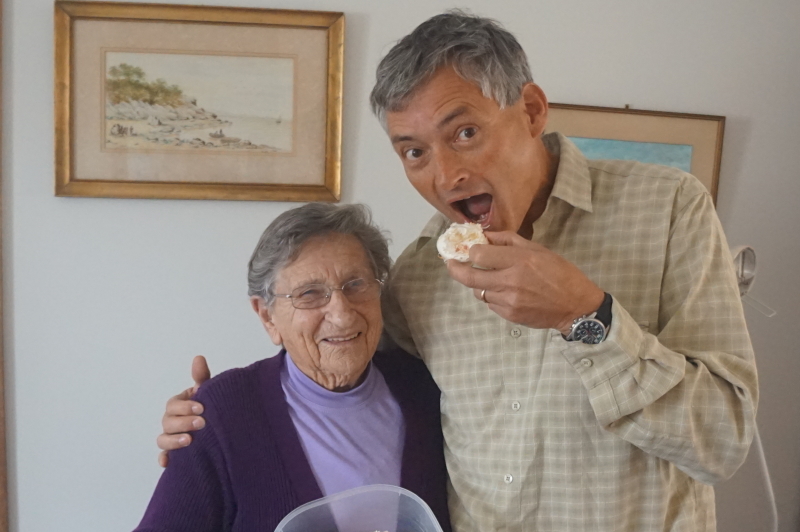 Sixty years later and Peggy again greeted the Winter family with lunch. 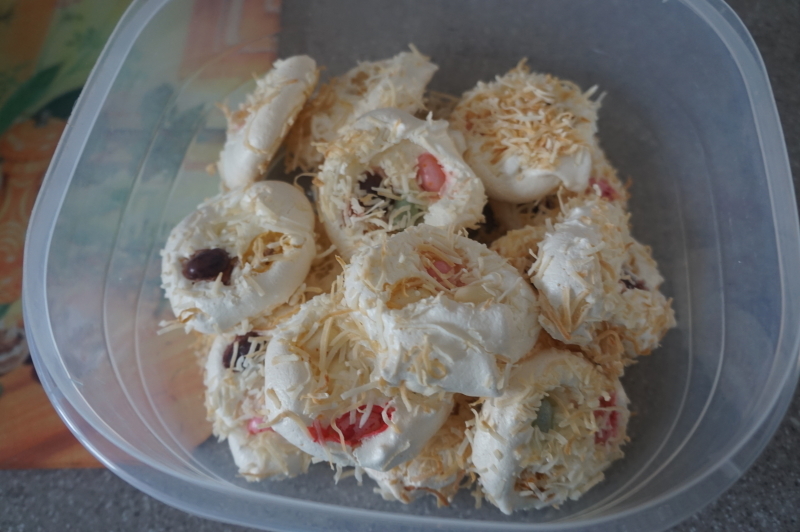 Tasting one of Peggy’s famous (for me at least) meringue bird’s nests. An Easter tradition, made with jelly beans this time because there were no Easter eggs to be found. Winters in Tasmania are supposed to be a balmy 15 degrees, but instead a cold snap had brought snow flurries to the lowlands and enough snow to close the roads in the highlands. 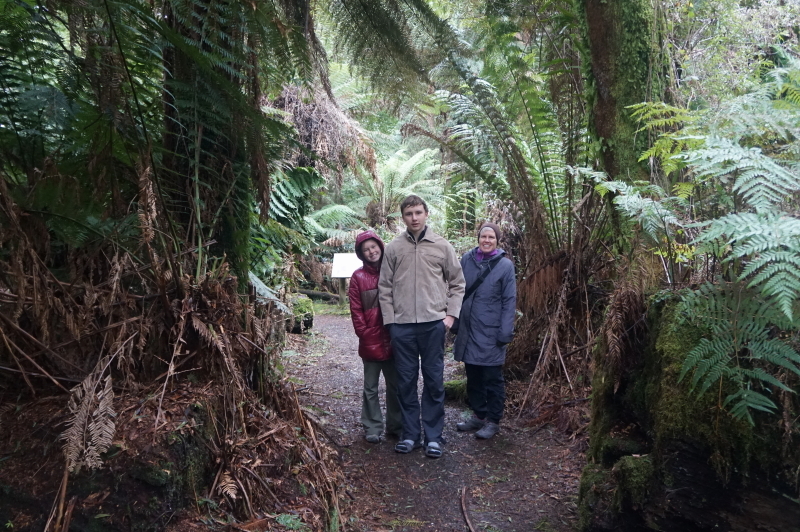 Our plan to drive the west coast to Cradle Mountain, Queenstown and the rainforest went out the window. 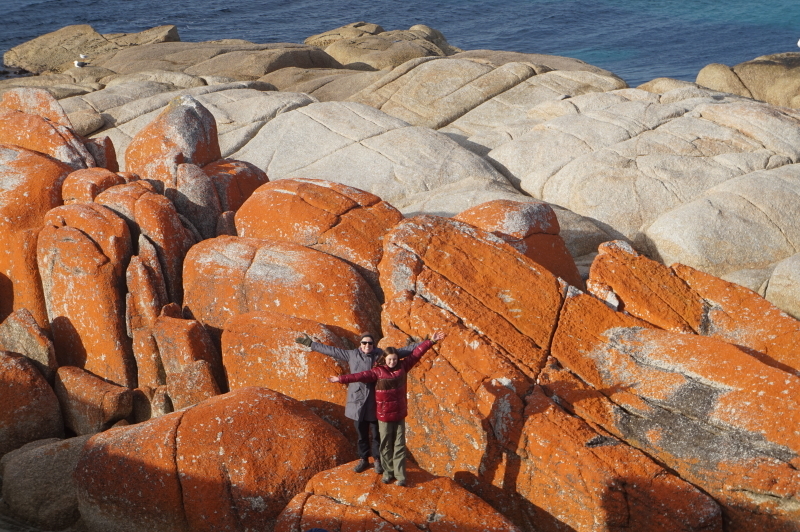 Instead, we looped back and headed east to the Bay of Fires and down the coast to the capital, Hobart. 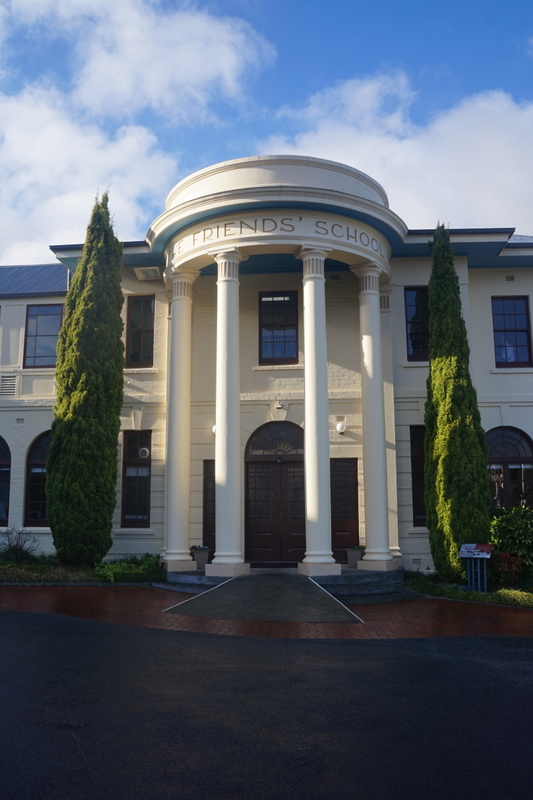 In Hobart, our first stop was the Friends’ School, a Quaker school where my dad taught for several years, and where I first went to school. Our old house is now a tennis court and there were several new buildings, but the old buildings and memories were still there. As we walked the grounds and the surrounding streets, I was overlaying childhood memories with what we saw: learning to roller skate, walking to school, Matchbox car races, and the mean dog around the corner. We’d done a similar stroll down memory lane with my dad in England several years earlier, and now it was my turn to show the kids where I grew up. Aran said I looked like a creepy old man taking photos in a school, but the secretary at the primary school was all too pleased to chat and fill in the history. Home at last. Okay, there’s been a few changes. 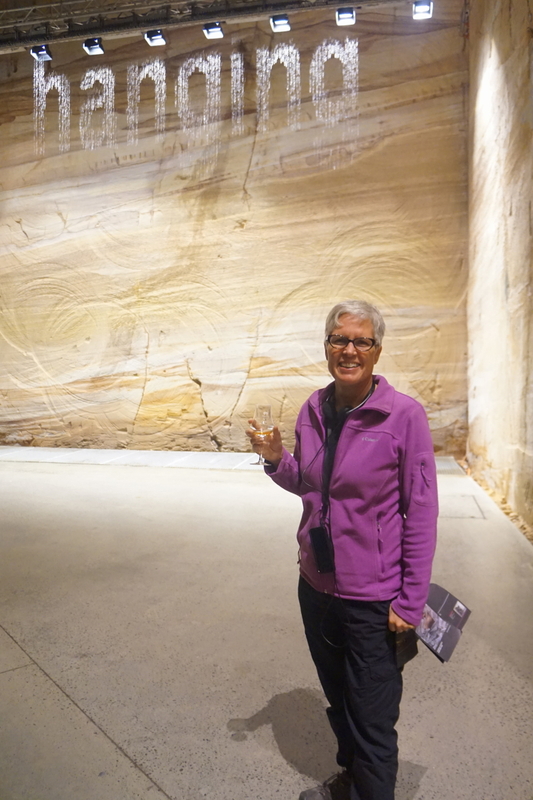 We stayed two days in Hobart with Jane and Ian, our wonderful Servas hosts, which gave us time to explore the top two tourist destinations for Tasmania, one old and one new: the Port Arthur penal colony and the Museum of Old and New Art (MONA). 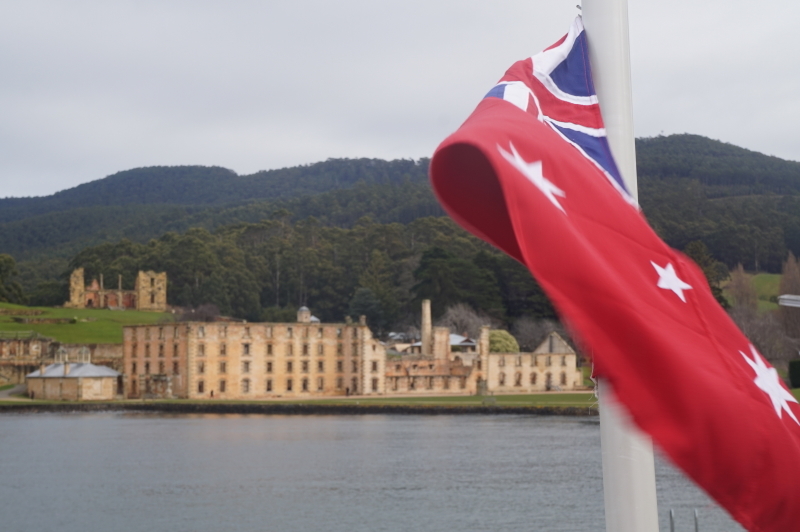 Port Arthur was set up in 1833 as a prison for secondary offenders – those who committed crimes after having already been shipped over to Australia. It was the Alcatraz of Australia, remote and accessible only by sea or by a narrow strip of land guarded by half-starved dogs. It was also a model for prison reform based on the ideas of Jeremy Bentham, where corporal punishment was replaced with skills training and rewards for good behaviour. 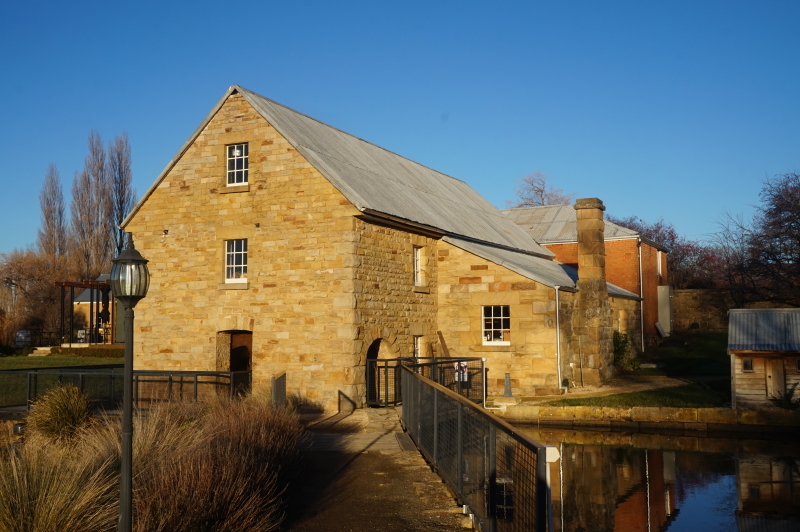 Brick making and ship building were two of the industries set up at Port Arthur, but the shipyard was shut down because it provided unfair competition for the other ship builders in Tasmania. 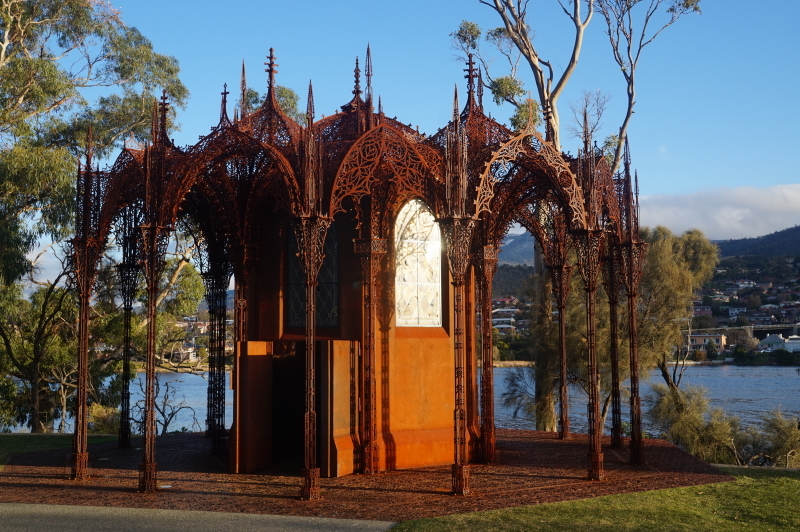 Come to think of it, Port Arthur has a lot in common with MONA, an art institution in a remote part of Hobart that we visited by boat. 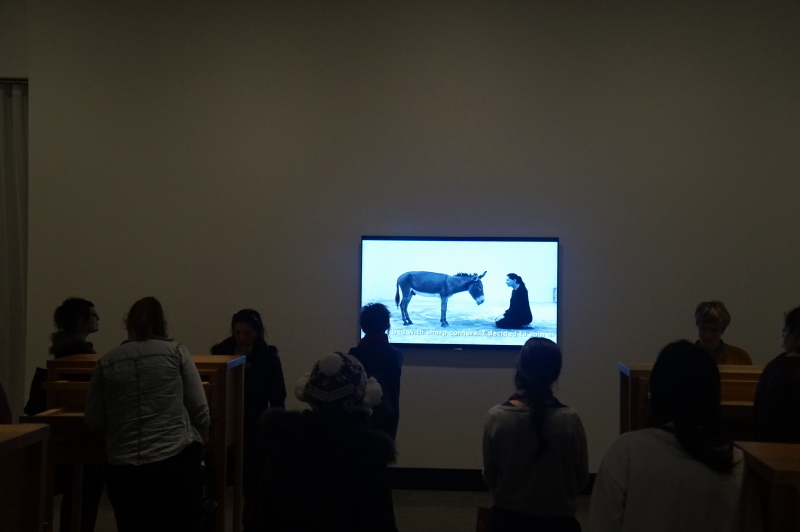 Long videos of an artist staring down a donkey (Marina Abramovic was the featured artist) can seem to be more punishment than pleasure, but MONA is certainly an entertaining and educational gallery with iPods loaded with background information on the art and artists. 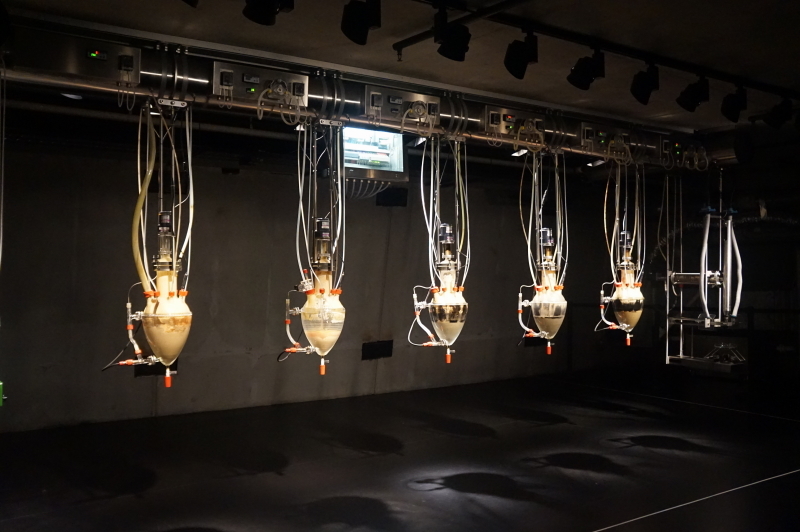 The Cloaca, or poo, machine. It is fed at 10:00 a.m. each day, and poops at 2:00 p.m.
One interactive exhibit had us dress up in white gowns, don noise reduction headphones, sit silently at a long table of about twenty people, and sort and count the lentils and rice from a pile on the table, recording our results on a piece of paper. 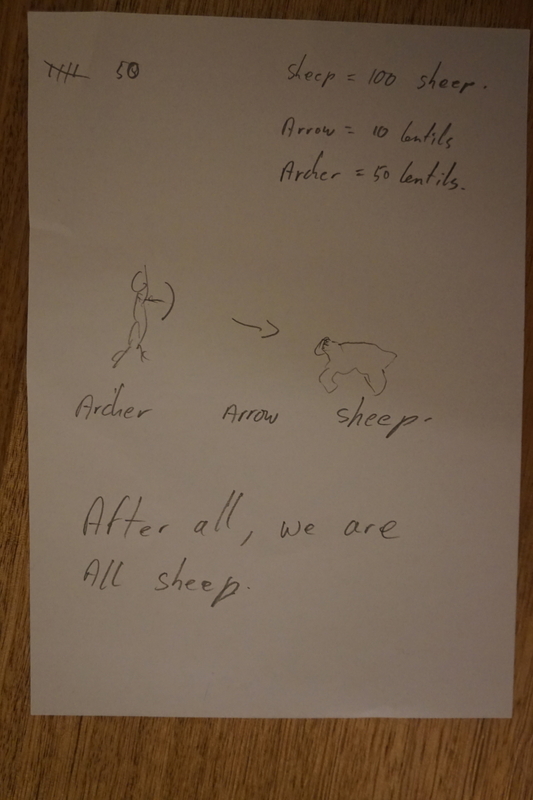 Nancy made a heart out of her pile for the next person, and I made a white sheep and lentil archer. Aran and Eva counted rice and lentils. 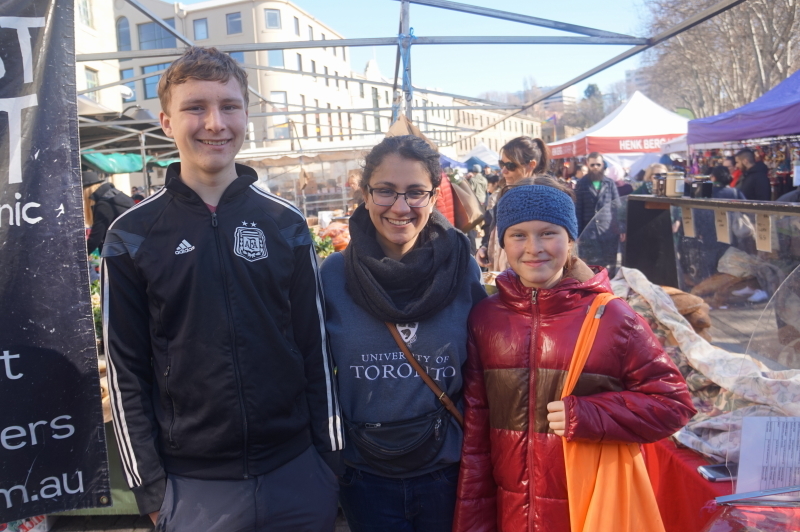 On our last day, we started out at the Salamanca market in Hobart, a bustling mix of food and crafts, among the best we have seen in our travels. We picked up some fresh bread and cheese and headed north for another reunion. John Pilcher was a student and boarder in our house at Friends’ School. My dad had tracked him down to his lovely beef farm outside Bothwell, an hour north of Hobart and given us his contact information. We dropped by for lunch and spent a couple hours hearing stories of the old school days. 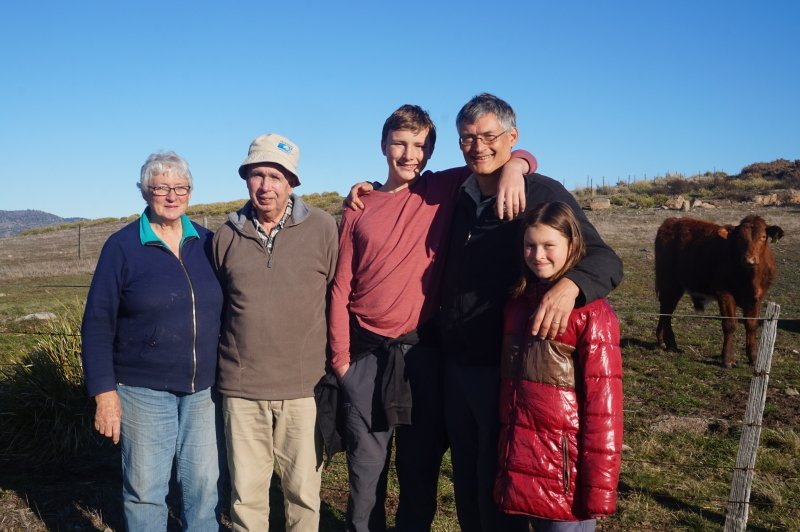 John may have felt honoured to have an old and favourite teacher look him up after so many years, but the truth is their farm was precisely the rustic pursuit of excellence and tranquility that my father dreamed of as a retreat from academia. From John and June’s farm, we made one last stop to the Nant distillery. Damned expensive, but it turns out that Tasmania is topping the world’s scotch lists these days. Scandalous stuff, so of course we had to sample the liquid gold that is not yet available in Ontario. From there, it was back up to Launceston, overnight at a wonderful cottage B and B, and back on a plane to Sydney. 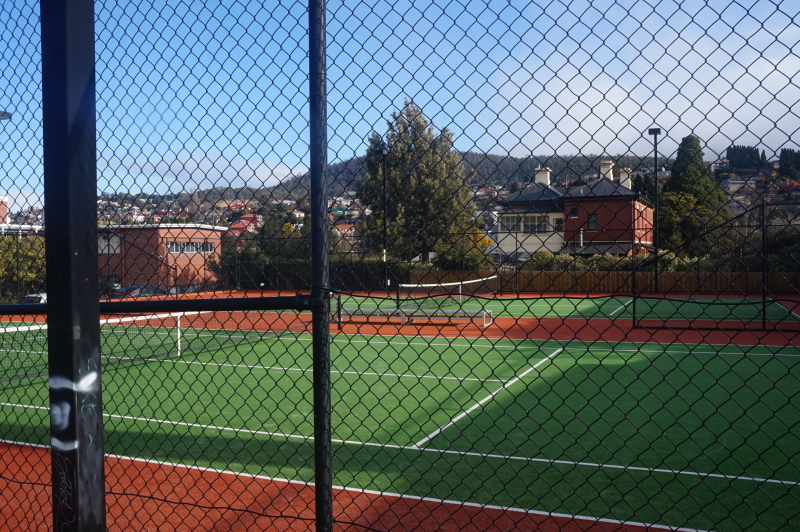 “Tasmania is twenty years behind the rest of Australia,” people had told us. If so, it has given Tasmanians a good chance to look at all the mistakes others have made and choose to give them a miss. Based on what we saw, not only has Tasmania caught up with the rest of Australia, it is now a cutting edge destination that is leading the path. 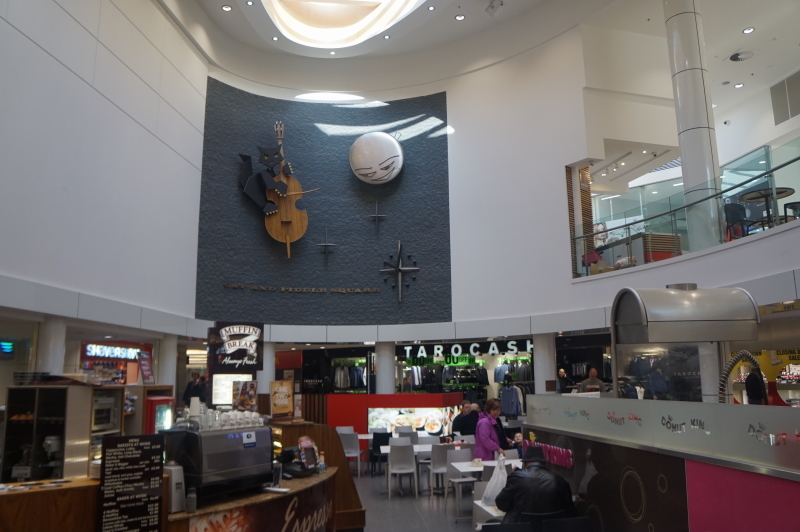 The clock at the Cat and Fiddle Arcade in Hobart, just as I remembered it but with a fancy coffee shop underneath. Cool. 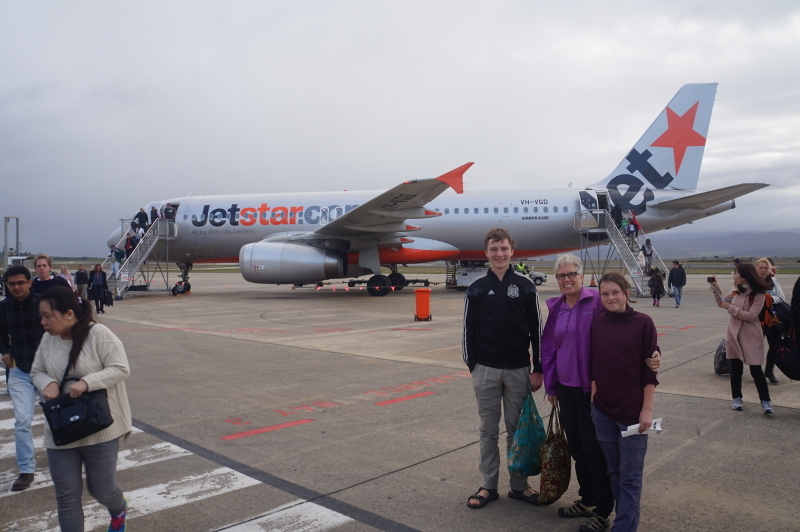 ← Oz (Part 1): Oh, the Places You Will Go! Very informative! I have never read and no nil about Tasmania. Picturesque. Van Diemen’s panopticon. It feels strange not having a camera over my shoulder every day now.